I don’t know about anyone else but that statement is very telling to me about the rest of the worlds perceptions about what I have been saying for years now. We are, in the middle of another Civil War. MOSCOW, January 10. /TASS/. Head of Russia’s Roscosmos State Space Corporation Dmitry Rogozin has said his visit to the United States at NASA’s invitation has been cancelled because the “second American civil war” is underway. 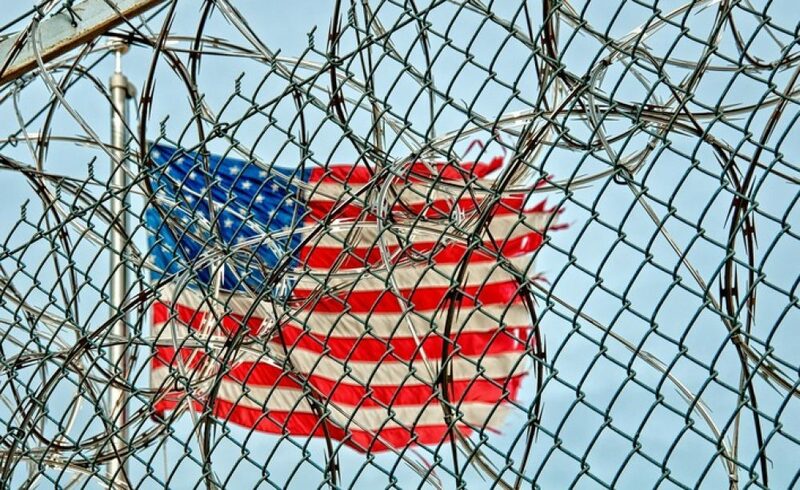 “I think that America is actually engulfed by its second civil war now,” Rogozin said in an interview with Rossiya-24 TV channel, commenting on the reasons behind his visit’s cancellation. According to Rogozin, NASA has fallen victim to a domestic struggle in the country and the entire situation with the sanctions lists is “an outrage.” “This is complete international lawlessness and I absolutely don’t care about those motives which guided people in the Obama administration or the current Senate,” the Roscosmos chief stressed. The National Aeronautics and Space Administration earlier released a statement saying that it had informed the Russian side that it was delaying a planned visit to the US by Rogozin. NASA also said no new date of the visit was set. NASA Press Secretary Megan Powers said the agency was continuing preparations for Rogozin’s visit to the US despite criticism in Washington. Earlier some US officials and legislators had voiced criticism over the planned visit by the Roscosmos chief to the US. 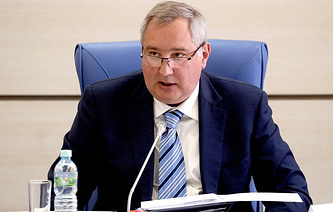 In October, NASA Director Jim Bridenstine told TASS that he would like Rogozin to come to speak at the Rice University (in Houston, Texas – TASS) during his visit to the US. The Donald Trump Administration made a decision to pause sanctions against the Roscosmos chief in order to let him visit the United States at NASA’s invitation, he noted. Rogozin has been under US sanctions since 2014 in connection with the situation in Ukraine. There was another little back handed slap at the Obama administration in there too. Yeah , yeah, I know, TASS. The official Russian version of CNN etc. but as in all propaganda, you have to look at it and see if there isn’t some grain of truth buried in it and I do believe there is a definite message being sent there among the bluster. We here in the U.S. are often guilty of living in a bubble but a large part of that can be laid directly at the MSM’s feet for having zero journalistic ethics and not reporting on a damn thing that is actually happening in the world. If you would like an example I can point directly to the Yellow Vest protests going on around the entire world right now. That little movement jumped directly out of France and is currently blazing around the globe in different spots. Of course you would never know that if the only news you get is from the American Press Corps. So yeah, I’ll take an article from TASS. They openly admit to being Pro Russia at least. That’s more than I can say for our media outlets. Them fuckers have a strangle hold on what the American public gets to consume domestically. The main reason I avoid the cocksuckers as much as possible in the first place. They are the enemy, have participated in and enabled treason against this country and need to be thoroughly exposed and punished for those actions. Whether or not the Second American Civil War is underway or merely imminent is difficult to say with certainty. But it’s a safe bet to say that we could head it off or shorten it dramatically by hanging a few hundred commie talking heads (and buttload of high profile demonrats). Yuppers… it is going to go hot soon. The top demoncrats just got punked and blood is in the water. The AG select is hot for gun confiscation, that ain’t going to go over well, gonna hurt Trump! I too look to non-U.S. news media to show us how & what they are reporting about us. And yep, like Tass, they admit their bias; unlike “fair” CNN. And they cover stories U.S. media never touches. I usually go to Whatfinger to get the most coverage of what’s happening around the US, and they occasionally go overseas as well.